"Many people should already know the famous ""Poltrona di Proust"" (1978). It is a romantic baroque armchair, on which an endless number of polychromatic points are painted by hand using the pointillism technique. 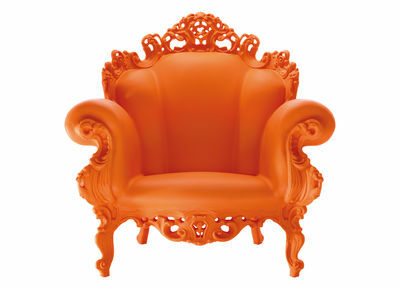 These points invades the whole armchair, its fabric and also the wooden decorations. It's a re-design work. It is, in fact, the collage of a mock-ancient armchair and of a detail from the garden by the French painter Signac. From 1978 onwards the Poltrona di Proust was realized in many versions, different in colors, materials and dimensions and was even made of ceramics and bronze. It traveled all around the world and was hosted in many museums. Now a real unexpected news. A paradox becoming true. Now the ""Poltrona di Proust"" has become an industrial rotational-moulded object. 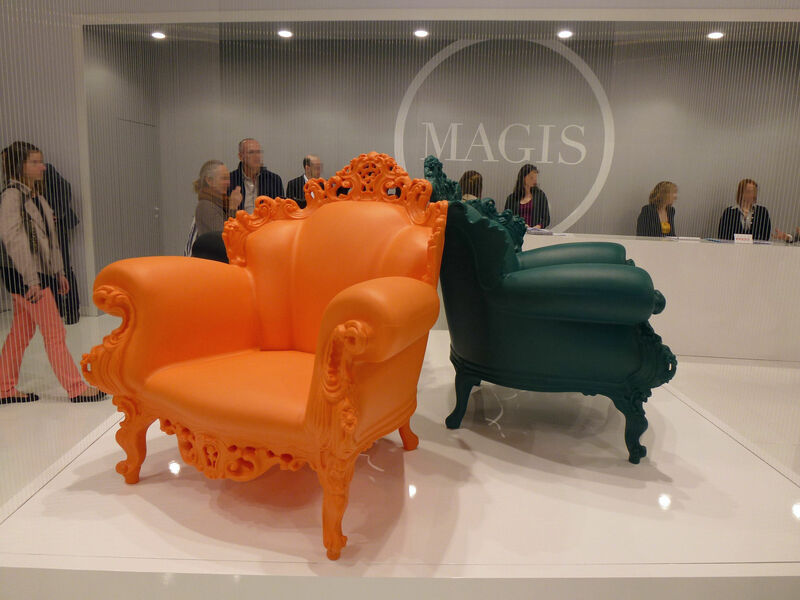 Here's the new armchair ""Magis Proust"". It is a technical and production gem. A new energy of colours and atmospheres for a timeless object."